Kristin has 14 years of professional experience in both plaintiff and defense work. She focuses on all areas of complex litigation and trial preparation. 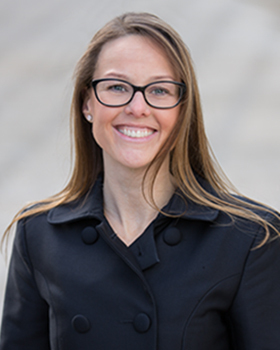 Additionally, Kristin specializes in civil litigation and white collar criminal defense, and works closely with personal injury and OLCC litigation in Oregon, Washington, and Federal Courts. Kristin is an active member of the Pacific Northwest Paralegal Association and the Oregon Paralegal Association. She is also a volunteer for Court Appointed Special Advocates (CASA). In her spare time, Kristin enjoys spending time with her daughter Emily. Kristin loves sports and traveling.